Manchester: Manchester United can secure a top-three finish in the Premier League if they get 15 points from their remaining six games, manager Ole Gunnar Solskjaer said on Friday. Third place would guarantee United qualification for the Champions League — which by Solskjaer’s calculation would mean beating at least one out of second-placed Manchester City and Chelsea, who they host in consecutive games at Old Trafford this month. 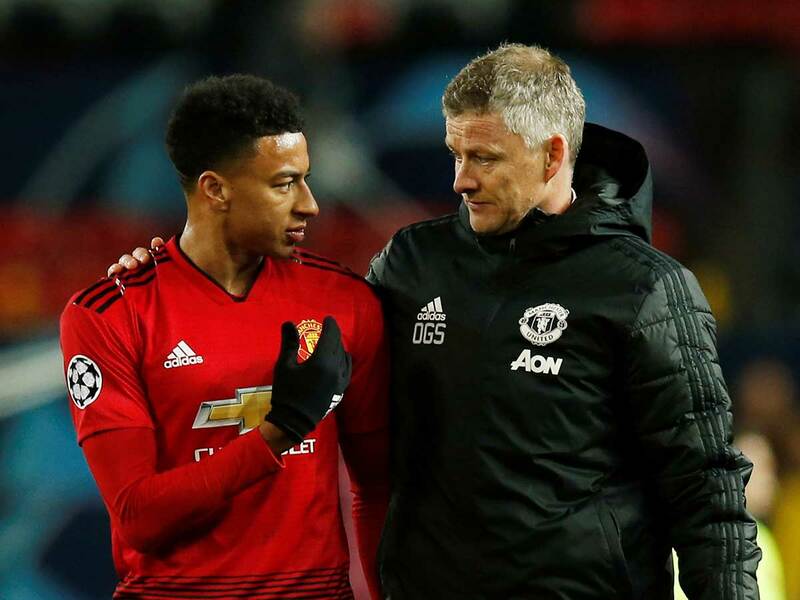 “We need as many points as possible and I think if we get 15 we’ll be top three because in those games hopefully we’ll beat Chelsea,” Solskjaer said ahead of West Ham’s visit on Saturday. “We want top three. Top four is also an aim ... but we should aim for 15 points. But now it’s about West Ham and focusing on (that).” After losing only once in Solskjaer’s first 17 games in charge, United have lost four of their last five in all competitions. “ ... We should have won the league games against Wolves and Arsenal with the amount of chances we had. We’ve been practicing out here and, as a striker, I know how important that little bit of belief and trust in yourself is.” Solskjaer said forward Alexis Sanchez was fit but unlikely to play against West Ham. “I’m not sure if he’s going to be available. He’s injury free but not 100 per cent sure for tomorrow, maybe more likely for the Barcelona game [next week].” With midfielders Ander Herrera and Nemanja Matic sidelined with injury and full backs Luke Shaw and Ashley Young both suspended, Solskjaer said Matteo Darmian and Marcos Rojo could play a part on Saturday. Cardiff manager Neil Warnock has been charged by the English Football Association for his tirade against Premier League referees. Match officials failed to spot a glaring offside when Cardiff conceded a late equaliser against Chelsea in a game the relegation-threatened Welsh team went on to lose 2-1 on March 31.